For a Wizard whose errands took him all over Middle-earth, the sleepy hills and quiet hamlets of the Shire were a sanctuary. 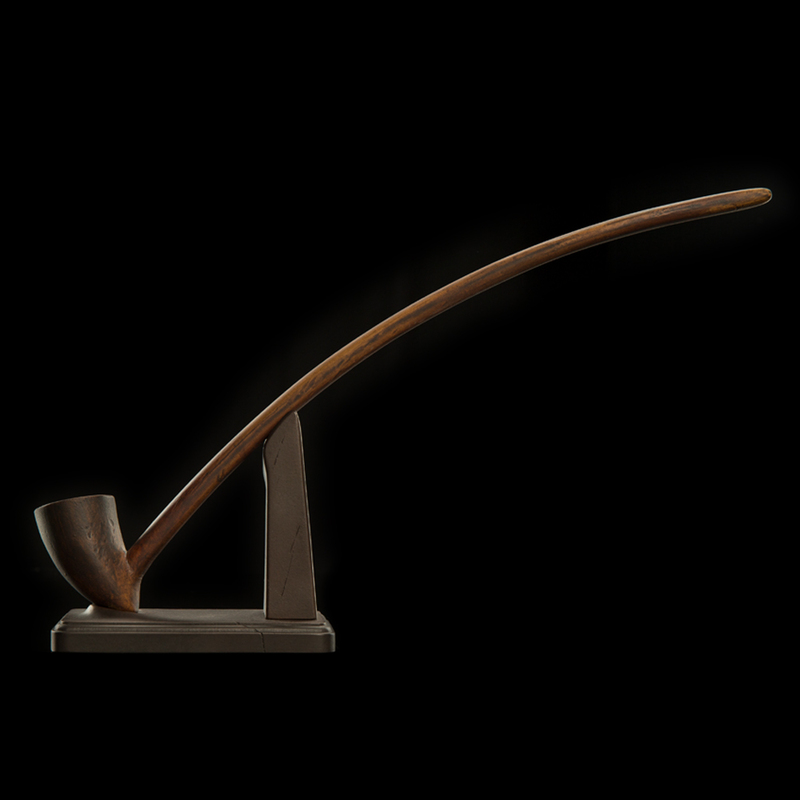 Strolling between verdant hedgerows and bursting gardens, Gandalf the Grey enjoyed the company of the Hobbits living there: a gentle people of naïve eccentricities, and makers of the finest pipe weed in all the lands. 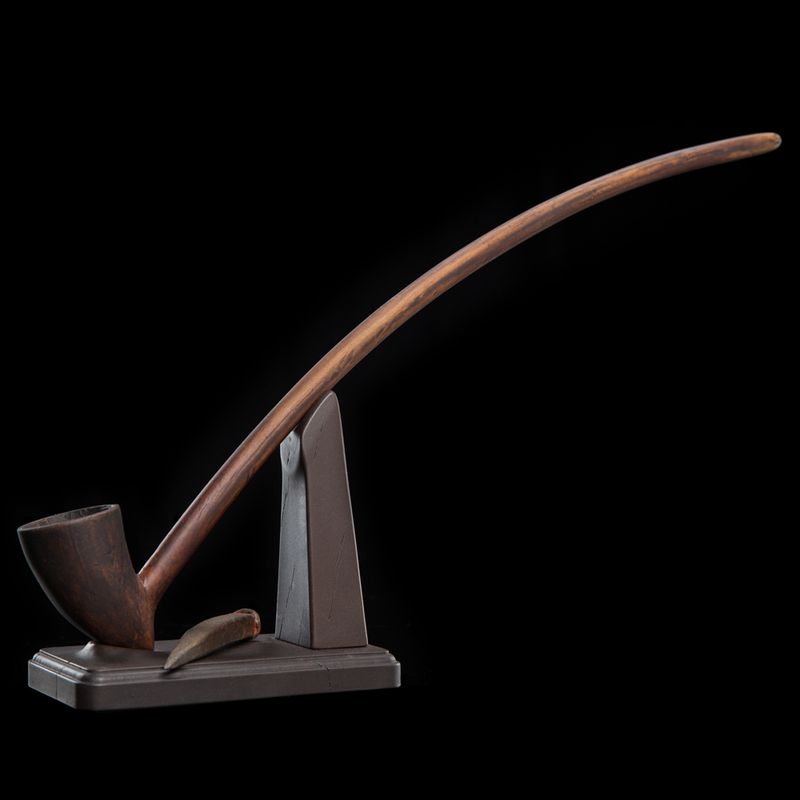 On a fine evening Gandalf might be found sitting outside Bag End with Bilbo or Frodo Baggins, pipes in hand, blowing smoke rings which the Wizard brought to life with subtle magic. 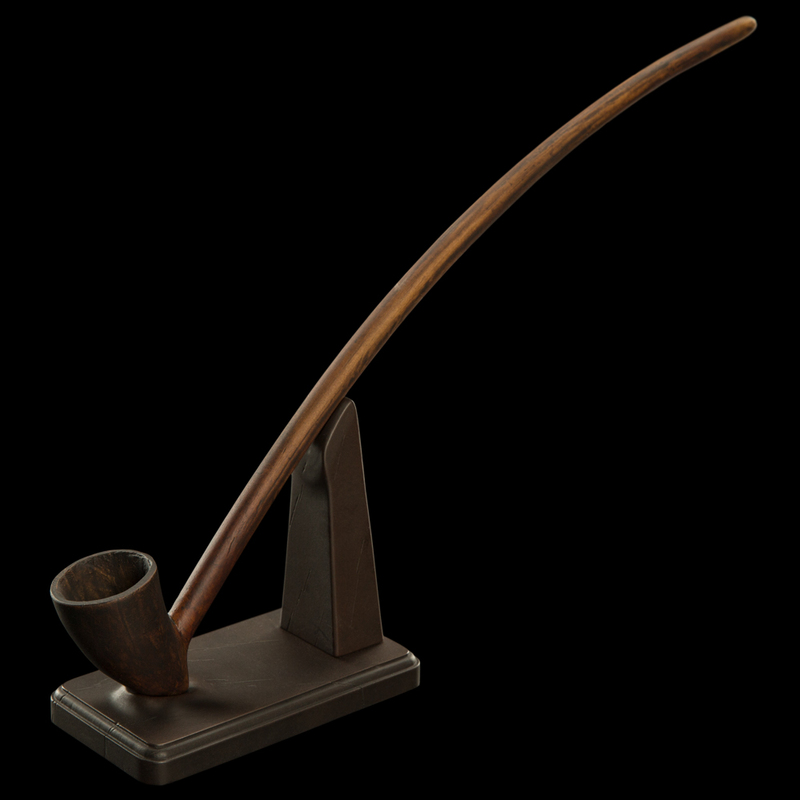 Beyond the Shire’s borders Gandalf’s long-stemmed pipe and tamper traveled with him, perched in the crown of his staff. The scent was a reminder in times of darkness or peril of the peaceful, green land and his friends, far to the west: the closest thing to a home the Grey Pilgrim had. 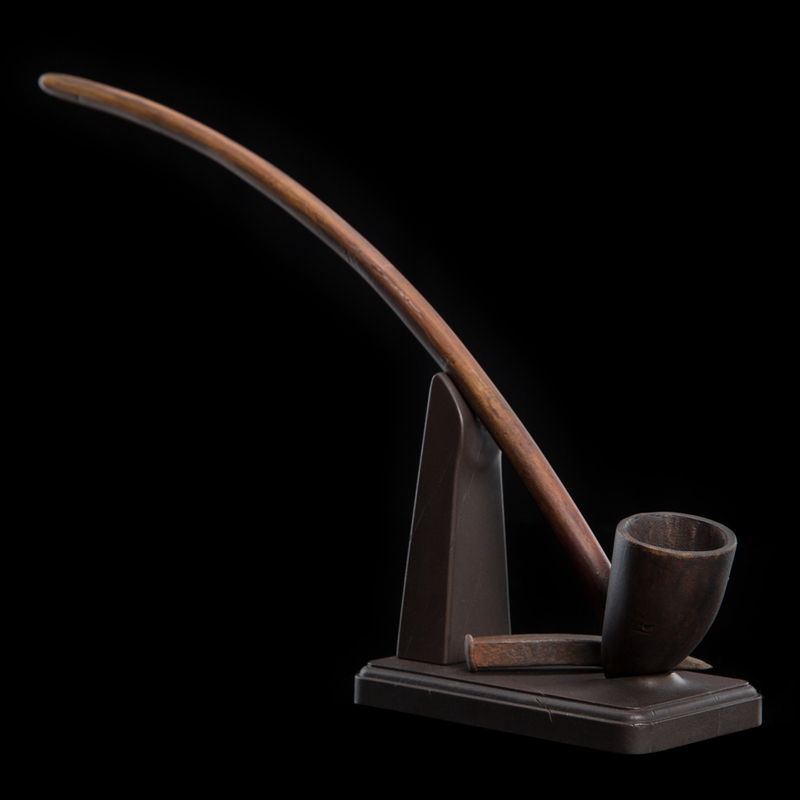 The Pipe of Gandalf the Grey was created for The Lord of the Rings by the artists at the 3Foot6 Art Department, and comes complete with Tamper. This non-functional prop replica has been created from molds of the original prop used in the film, using the same high impact urethane material as the props on set and finished using the same techniques and materials to achieve the same well-loved look as it has in the film. Richard Taylor had a very clear goal in regards to the product Weta Workshop would be making for The Lord of the Rings. The pieces needed to appear so authentic that it would look like they had been pulled straight from a museum or archaeological dig. Please note: images are of a pre-production prototype. Each prop is painted by hand and slight variations will occur. 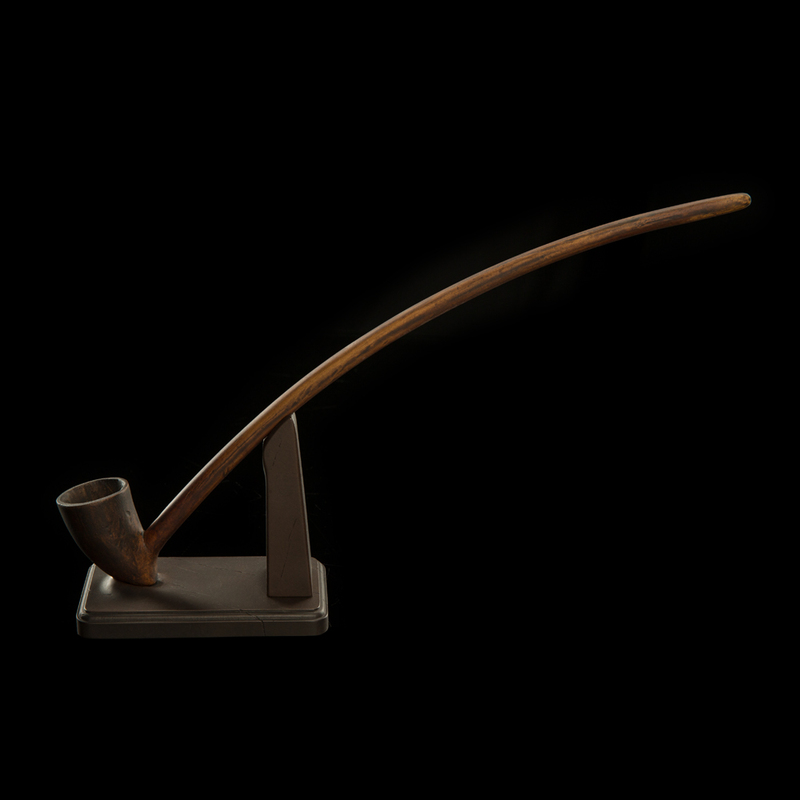 This is a non-functional prop replica and cannot be used for smoking.